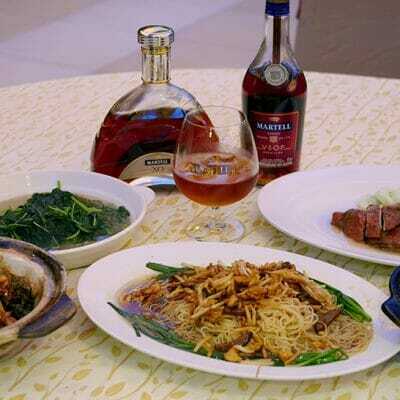 Senjyu practices a ‘Four Seasons’ menu concept, where customers can enjoy spring, summer, autumn and winter creations on top of the existing menu. 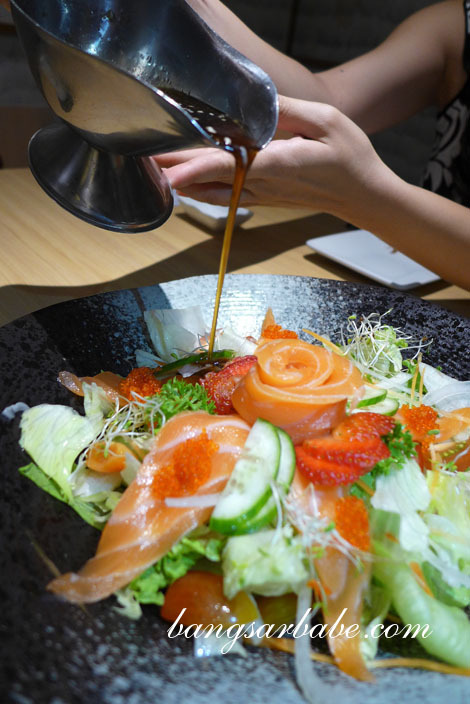 To start, we has the Hana Sashimi Salad (RM25.90); a pretty assortment of salmon sashimi, lettuce, carrots, Japanese cucumber and cherry tomatoes, topped with wasabi dressing. The salmon was fresh and smooth, while the wasabi dressing gave the salad a sharp accent. A refreshing change from the usual Salmon Salad I often order from Senjyu’s regular menu. I found the Twin Harmony Bento (RM 38) good value for money. For that price tag, you get a bento box comprising a sushi trio, tempura, rolled sushi, chawanmushi, miso soup and an appetizer. 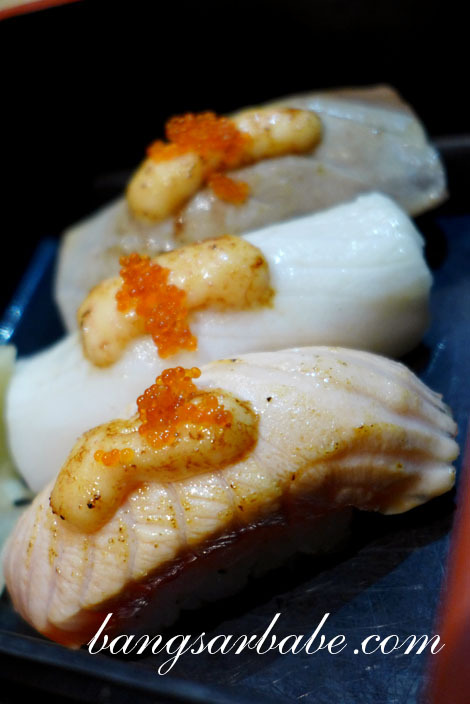 The sushi trio comprised salmon, maguro and squid; each lightly grilled to give a smoky-sweet flavour to the rice. Instead of the usual prawn tempura, the chef used unagi and shimeji , which I really enjoyed. Unagi is already yummy, but unagi tempura is uber yummy. I tucked into the Shimi Saba (RM78.90 for sashimi and sushi), which I rather enjoyed. Saba has a stronger flavour and aroma, which not everyone can take but I liked it. It was tender, slightly savoury and went well with a light smear of wasabi. I also liked the sushi version as the rice added a different flavour and texture to the fish. 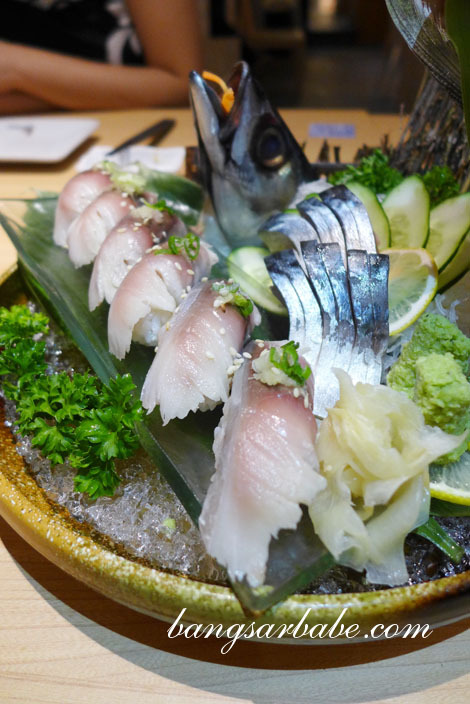 The sushi is available in two preparation styles – sashimi or aburi mentai grilled. I didn’t try the latter style as I was happy with the sashimi. For the budget conscious, you can get the sushi version along for RM38.90. 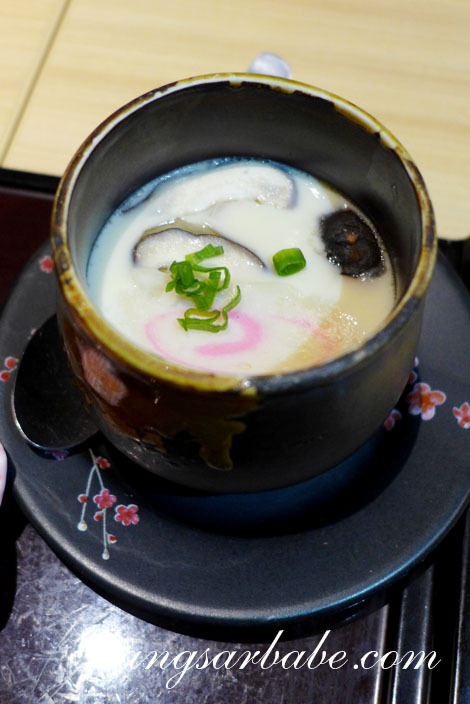 We also sampled the Specialty Yu Tofu (RM16.90), a signature dish from the Kansai region. 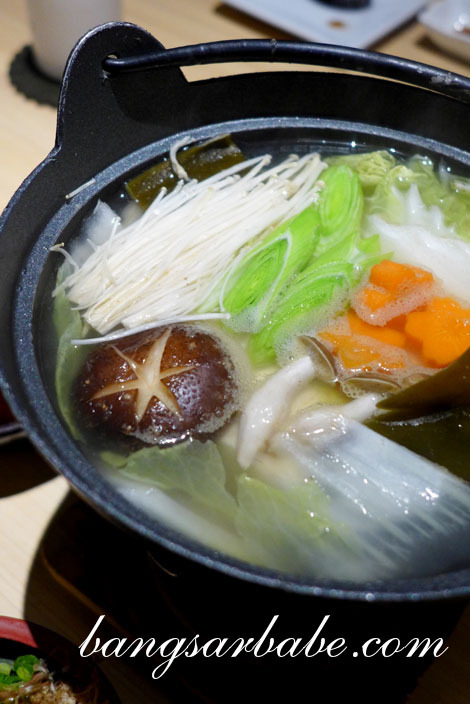 The broth is made from fish stock and comes with smooth konbu beancurd, assorted mushrooms and fresh vegetables. 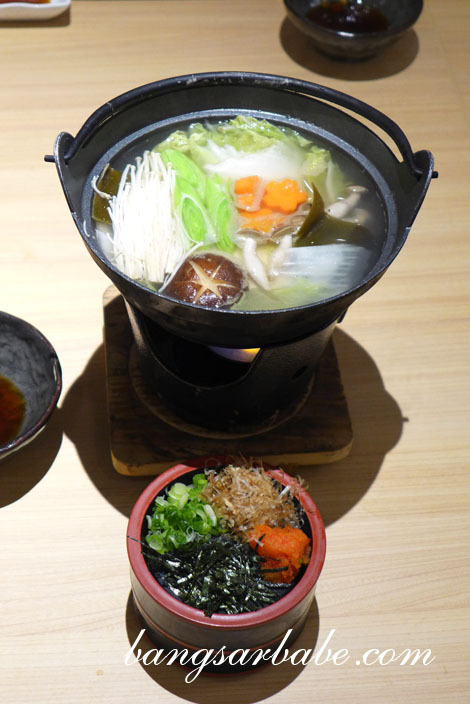 I found the broth light in flavour, which allowed the sweetness of the vegetables to stand out. If you like clear soups, you’ll enjoy this. I however, prefer stronger flavours. The Haru Yaki Soba (RM 18.90) was cooked al dente and rather delicious. I’ve never tried soba prepared this way – fried with flavourful tonkatsu sauce and sweet omelette – and found it quite creative. 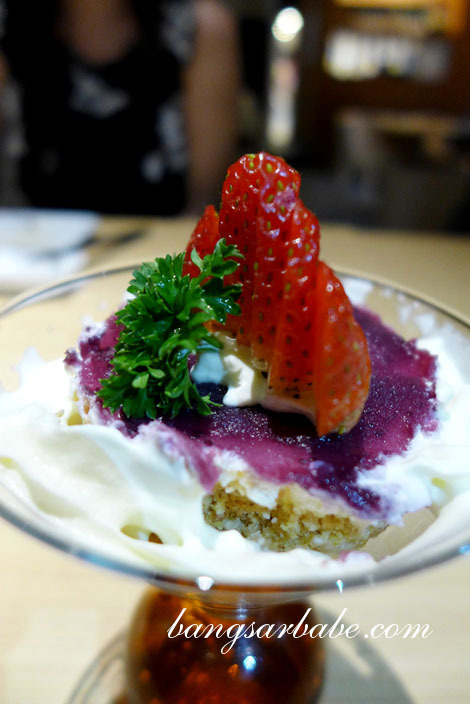 Like all the other seasonal menus, the Spring Menu ended with a sweet note – Blueberry Cheese Blossoms (RM8). 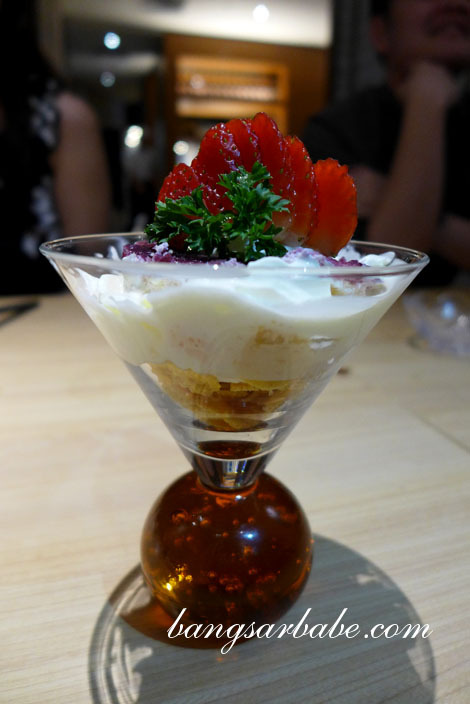 This was a composition of blueberry cheese cake, cornflakes, whipped cream and strawberries. It can be a bit rich for some, so order one to share. 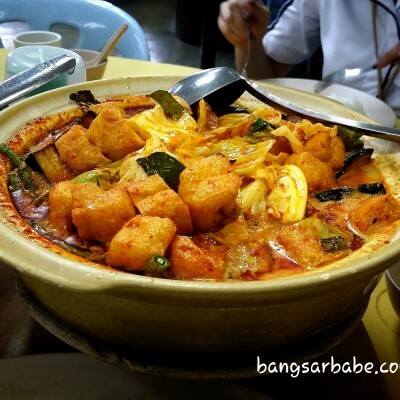 Verdict: Creative dishes and good quality ingredients at a reasonable price. Happy New Year to you and Rif. Happy New Year to you too, Kash!